No matter how effective modern tooth replacements are, and they can be very effective – nothing is as good as a natural tooth. If a nerve starts to die or the tooth has become infected and has already died, it is still possible to retain the tooth in most case, as long as root treatment is carefully and successfully completed. Root fillings (which in our hands are seldom uncomfortable) are carried out in the practice by Mark Langdon-Jones, a specialist within this field. A general dentist can perform RCT but often patients are referred to an Endodontist. 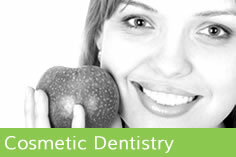 Endodontist are dentists with special training in endodontic procedures. Dr Mark Langdon-Jones is a qualified Endodontist specialist. Mark will remove the inflamed or infected pulp, then carefully clean and shape the inside of the tooth, the space is then filled and sealed. If you are a patient of the practice Mark will place a crown or other restoration on the tooth to protect and restore it to full function. 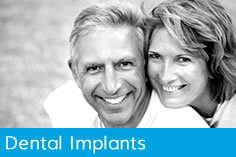 If you have been referred by your dentist, then you will return back to them for this procedure. After restoration the tooth continues to function like any other tooth. Will you feel pain during or after the procedure? Many endodontic procedures are performed to relieve the pain of toothaches caused by pulp inflammation or infection. With modern techniques and anaesthetics most patients report that they are comfortable during the procedure. The first few days after treatment your tooth may feel a little sensitive, especially if you experienced pain or infection beforehand. The discomfort can be relieved with over the counter or prescription medications. Follow Mark’s instructions carefully. You may find your tooth feels slightly different from your other teeth for a period after your treatment is completed. However, if you have sever pain or pressure or if the pain lasts more than a few days you should telephone the practice. What is an endodontic procedure? The tooth is examined and x rayed, then local anesthetic is administered. Once the tooth is numb, Mark places a small protective sheet called a ‘dental dam’ over the area to isolate the tooth and keep it clean and free of saliva during the procedure. An opening in the crown of the tooth is made. Very small instruments are used to clean the pulp from the pulp chamber and root canals to shape the space for filling. After the space is cleaned and shaped Mark fills the root canals with biocompatible material, usually a rubber like material called “gutta percha.” The gutta percha is placed with an adhesive cement to ensure complete sealing of the root canals. In most cases a temporary filling is placed to close the opening. The temporary filling will be removed by your dentist before the tooth is restored. After your final visit Mark will either place a crown or other restoration on the tooth to protect and restore it to full function or you will be referred back to your dentist for this to be carried out. If the tooth lacks sufficient structure to hold the restoration in place, your dentist or Mark may place a post inside the tooth. The cost varies depending on how severe the problem is and which tooth is affected. Molars are more difficult to treat and usually cost more. 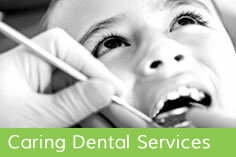 Each case is assessed on the degree of difficulty and is quoted before any treatment commences. Generally endodontic treatment and restoration of the natural tooth are less expensive than the alternative of having the tooth extracted. An extracted tooth must be replaced with a bridge or implant to restore chewing function and prevent adjacent teeth from shifting. These procedures tend to cost more than endodontic treatment and appropriate restoration. What special care or additional treatment will the tooth require? You should not chew or bite on the treated tooth until you have had it restored by your dentist. The unrestored tooth is susceptible to fracture, so you should see your dentist for a full restoration as soon as possible. Otherwise, you need only practice good oral hygiene, including brushing, flossing and regular checkup and cleaning. How long does the endodontic treatment last for? Most endodontically treated teeth last as long as other natural teeth. In a few cases a tooth that has undergone endodontic treatment fails to heal or the pain continues. Occasionally the tooth may become painful or diseased months or even years after successful treatment. Often when this happens another endodontic procedure can save the tooth. New trauma, deep decay or a loose, cracked or broken filling can cause new infection in your tooth. In some cases, the endodontist may discover very narrow or curved canals that could nto be treated during the initial procedure. Most teeth can be treated. Occasionally, a tooth can’t be saved because the root canals are not accessible, the root is severely fractured, the tooth does not have adequate bone support or the tooth cannot be restored. However advances in endodontics are making it possible to save the teeth that even a few years ago would have been lost. When endodontic treatment is not effective endodontic surgery may be able to save the tooth. The most common endodontic surgical procedure is an apicectomy or root end resection. When inflammation or infection persist in the bony area around the end of your tooth after endodontic treatment, Mark may perform an apicectomy. In this procedure Mark would open the gum tissue near the tooth to expose the underlying bone and the infected tissue is removed. The very end of the root is also removed and a small filling may be placed to seal the root canal. Local anesthetics make the procedure comfortable and most patients return to their normal activities the next day.